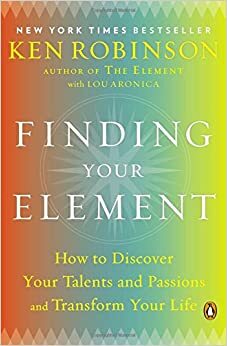 The New York Times bestselling author of The Element gives readers an inspirational and practical guide to self-improvement, happiness, creativity, and personal transformation. I have followed Sir Ken Robinson for at least six years now. His work both fascinates and inspires me. One of my drum teachers would often say to me and other students – “when you find that thing, don’t ever stop doing it.” Sir Ken’s work is inspirational and is proving to be a timeless resource that constantly helps me. Become frustrated and achieve your goals!